Israel's Olympic committee told Laetitia Beck she is responsible for everything heading into the Rio Olympics. She had to find someone to make her uniform, order her own bag and get her hats. When it began to look as if Laetitia Beck would represent Israel at the Summer Olympics in Rio de Janiero, the second-year LPGA golfer was reminded about the sport's very low profile in her country as she inquired about her apparel and equipment for the Games. "My Olympic committee doesn't know much about golf," said Beck, Israel's only LPGA player. "I'm responsible for everything. They told me to do what I want as long as it's according to the rules, and they would reimburse me. I had to find someone to make my uniform, order a bag and get my hats. I'm a very independent person, but it was a little stressful because I want to represent Israel and its culture the right way." 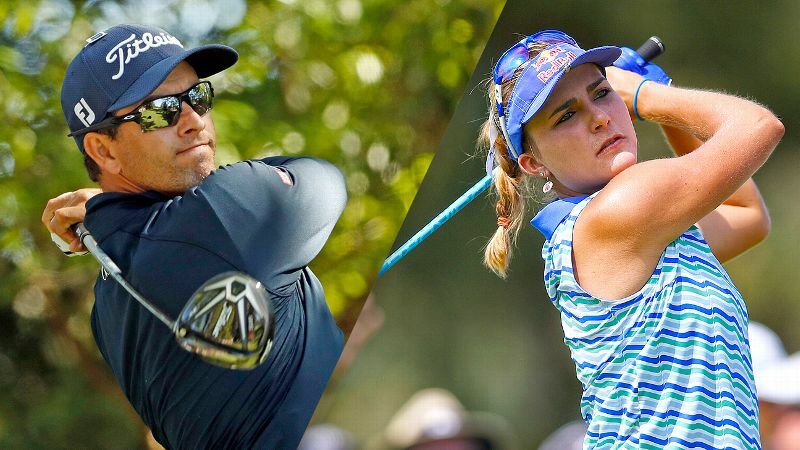 With so much attention having been focused on which stars won't compete for various reasons in golf's return to the Olympics after 112 years, players like Beck are a reminder that it's a big opportunity -- and a priority -- for others. Although currently ranked outside the top 200 in the Rolex Rankings, Beck was 42nd in the final Olympic qualifying list for the 60-player women's golf field because individual countries are allowed a maximum of four, and in most cases, two, entrants. 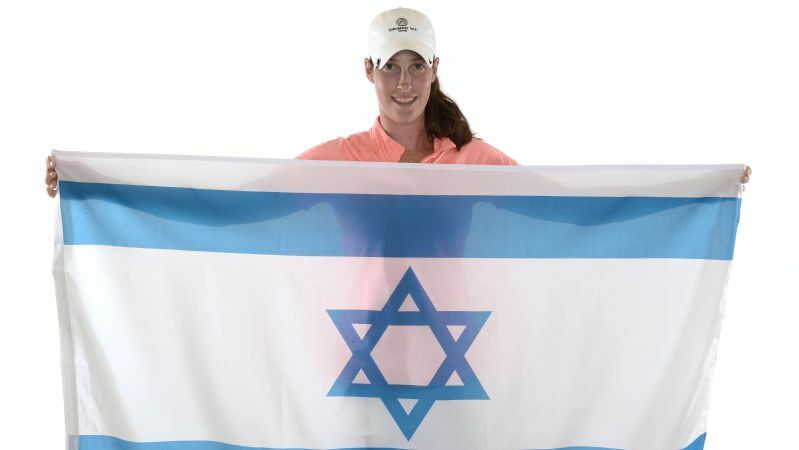 "This is special to me, being able to represent my country and help Israel have a bigger overall Olympic team," said Beck, a two-time golf gold medalist (2009, 2013) at the Maccabiah Games for Jewish athletes. "We tend to be big in judo, track and field and wind surfing, but the numbers are pretty small, around 45 people. Being able to be an ambassador for Israel is important. And it will be great to be part of the team." Beck, 24, moved from Belgium to Israel with her family when she was 6 years old. They settled in Caesarea, in the Israeli coastal plain between Tel Aviv and Haifa, home to the country's only 18-hole golf course, Caesarea Golf Club. From age 8 to 12, golf became part of Beck's active sports life along with tennis and soccer. "My mom says, 'I don't how you happened because you're so different from all of us.' But I'm super athletic and always had very good hand-eye coordination," Beck said. 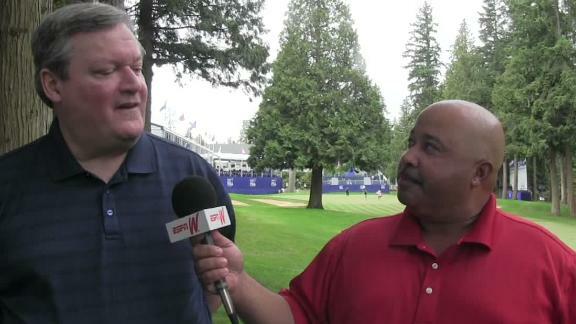 "I would play golf twice a week, tennis three times a week and soccer at school. When I was 12, the pro at my club encouraged my mom to sign me up for the Israeli Ladies Championship. I was not good -- I only broke 90 the last round -- but I won in a playoff." Inspired by the victory, Beck dropped other sports and concentrated on golf, becoming a scratch player in a year. At 13, she won the national title by "30 or 40 shots," Beck's prowess prompting her family to send her to the IMG Academy in Bradenton, Florida, the following year. 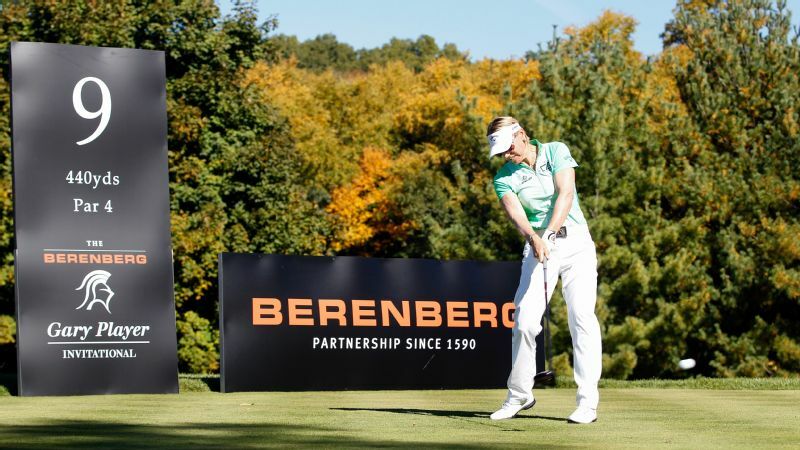 Beck continued to improve at the Academy, also the training ground for fellow LPGA players Paula Creamer and Jessica Korda. Beck earned a women's golf scholarship to Duke University, where she was a two-time All-American and a key member of the Blue Devils' sixth national championship in 2014. Later that season she tied for 11th at LPGA Q-School. 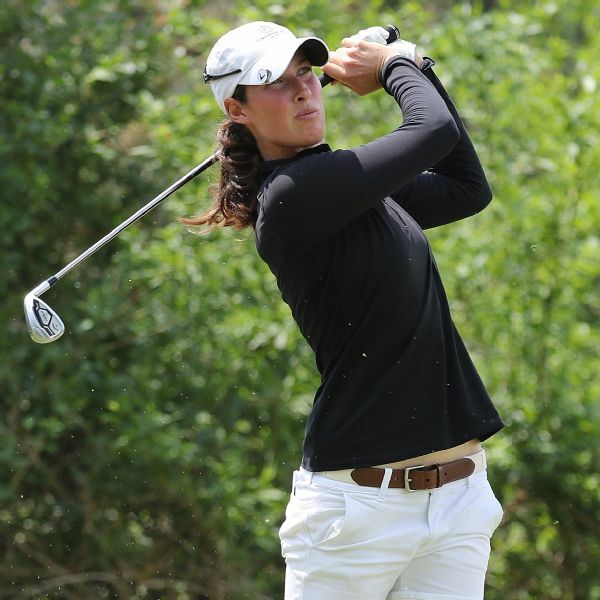 Laetitia Beck is a two-time golf gold medalist (2009, 2013) at the Maccabiah Games for Jewish athletes. After finishing 111th on the 2015 LPGA money list, Beck has struggled for consistency in 2016 -- she is currently 223rd in earnings -- although she had consecutive top-20 finishes in May at the Yokohama Tire Classic and Kingsmill Championship. "I think I have as much talent as the best players," Beck said. "With me, it seems to be in my head. I'm a long way from my potential, and I think I can beat them all. I want to be the best, but I want to do something with it too." Beck has worked with some golf mental coaches but hasn't found the right fit. "It's hard for me. I can get a little tough on people. I definitely need to find someone I can trust." That can take time, as Beck's college coach, Dan Brooks, recently told the school's student newspaper, The Chronicle. "When she came in as a freshman, I didn't know if she and I were going to make it," Brooks said. "I probably have had no greater evolution of a relationship than she and I had. By the time she left, we were real tight and continue to be." Said Beck of her attitude: "I'm such a big perfectionist. That's what gets me coming back the next day, to see if I can get better." Now living in a community with a large Jewish population in Miami-Dade County, traveling home to the Middle East for only a few weeks a year, Beck is proud of her heritage. Being the only Israeli golfer out here, I want people to know where I come from. "Being the only Israeli golfer out here, I want people to know where I come from," she said. Beck always wears a Star of David necklace and has the symbol stitched on her golf bag, which is in the Israeli colors of blue and white. "I'm not too religious," Beck said. "It's more about the culture than religion. On the high holy days I'll go to temple." Beck bypassed a college tournament in 2001 because it conflicted with Yom Kippur, and she adheres to a Kosher diet. "It was interesting at Passover during the Swinging Skirts event this year," she said. "No bread and no yeast, and I usually eat pasta and make a peanut butter sandwich or have an energy bar on the course. The only thing I could have was fruit." Diet doesn't figure to be a problem at the Olympics. The news of how Beck fares in Rio will travel back to Israel, if awkwardly. "Slowly, there are more articles back home if I do well," Beck said. "But the articles are pretty funny because they don't know much about golf. They'll say things like, 'She advanced into the final.' In judo, you advance." By whatever description, though, Beck will be glad to be there representing her country. "The first time I was at the Maccabiah Games, when I was 13, the opening ceremony was very emotional," she said. "I was born in Belgium and live in the U.S. But I consider Israel home."